The colours of spring have faded in the heat of the summer. Small bushes and flowering shrubs that donned the Earth in spring are in the fag end of their life cycle. The intricacy of the web of nature and the beauty and precision with which everything is interconnected leaves one marveling at the expertise and deftness of the creator. Strange, intriguing and amazing are the ways of nature. Bright flowers in the spring attracted bees and butterflies that kept hovering on them for nectar and carried out pollination in turn. 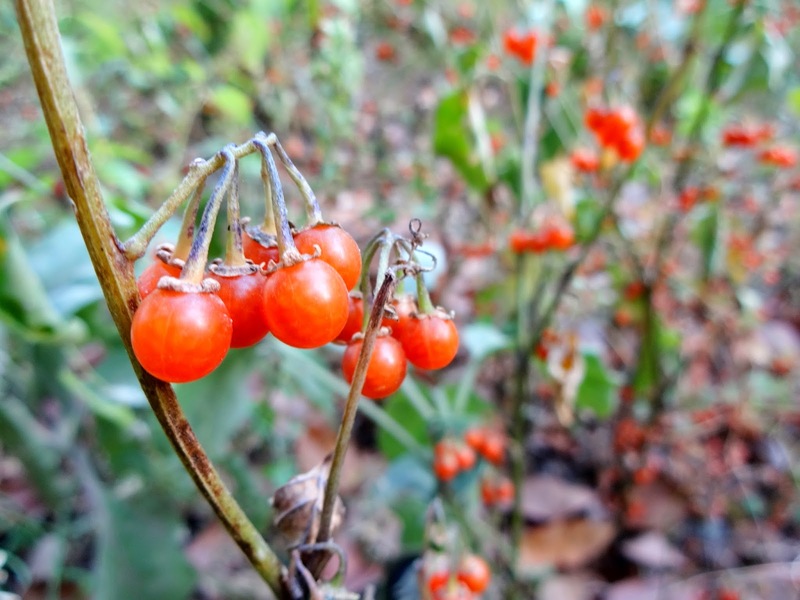 Equally bright and colourful are the berries full of seeds, now, attracting birds that find food here and carry out seed dispersal in turn. This is also the time when baby birds are ready to fly or have just left the nest and are learning the art of survival. There is a constant chirruping of birds in our backyard as avian families feed on wild berries that are growing in abundance. 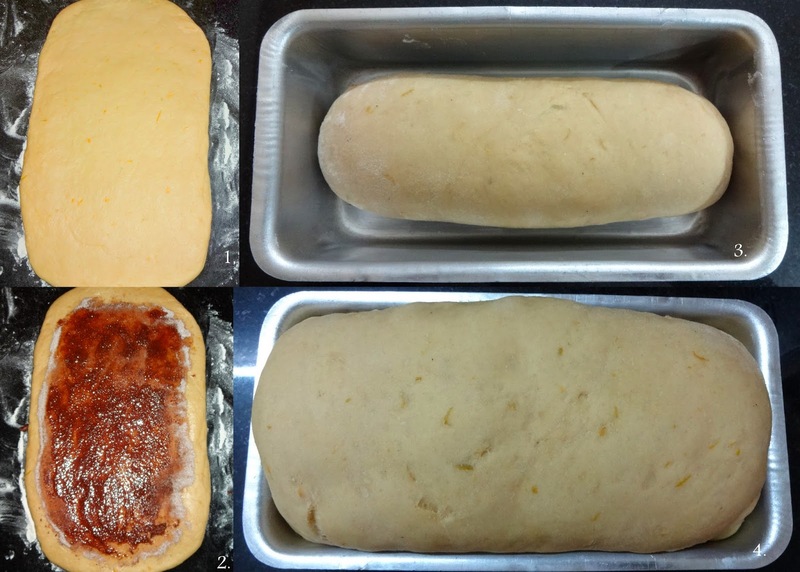 I had been yearning to make a sweet loaf since long. Some oranges in the refrigerator were beginning to shrivel. 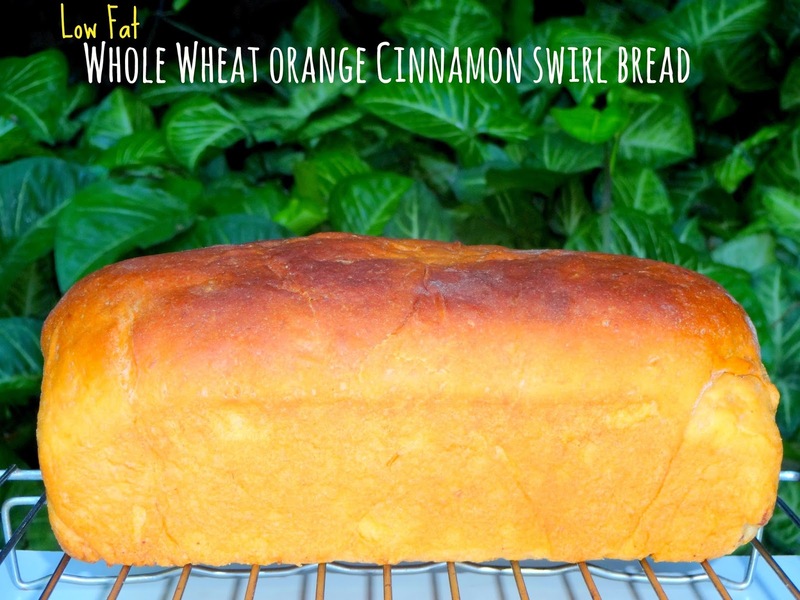 I used them in orange cinnamon swirl bread. The bread was sweet with delicate citrusy flavours from orange juice and zest. Cinnamon added lovely aroma and flavor to the bread. Adapted from here and baked with some changes. I have used 1 cup whole wheat flour in my bread. I have used olive oil in place of butter in bread dough to make it low fat bread. I have used orange juice in place of butter to make sugar cinnamon paste. Butter causes gaping around swirls. This experiment worked well and there were no gaps around swirls. Whisk together flours and salt. Add olive oil and orange zest and mix well with hands. Heat the milk till lukewarm. Add sugar and stir till sugar dissolves. Add yeast, cover and keep for 15 minutes. Add ½ cup flour mix to milk mix and stir well to get soft sticky dough. Turn dough onto a floured counter. Add flour and orange juice kneading well after each addition. Repeat till the flour mix is over. Knead for 6 to 8 minutes till dough becomes soft and elastic. Transfer dough to an oiled bowl. Flip dough over so that it is oiled from all sides. Cover and let it rise for 1 hour or until double. Punch down dough; knead for 3 to 4 minutes. Roll the dough into 10 x 8 inch rectangle. Mix cinnamon powder and powdered sugar. Add orange juice just enough to give a thick paste. Spread the paste evenly on the rolled dough leaving ½ inch from the sides. Roll the dough tightly starting at 8 inch side. Pinch seams and tuck under edges. Place the roll in the greased 9 x 4 ½ inch pan with seam side down. Cover and keep it to rise for 30 minutes or until double. Bake 1t 180 degrees C for about 50 minutes till the loaves turn golden from top and the bottom sounds hollow when tapped. Tent loosely with a foil if the top is browning too fast. 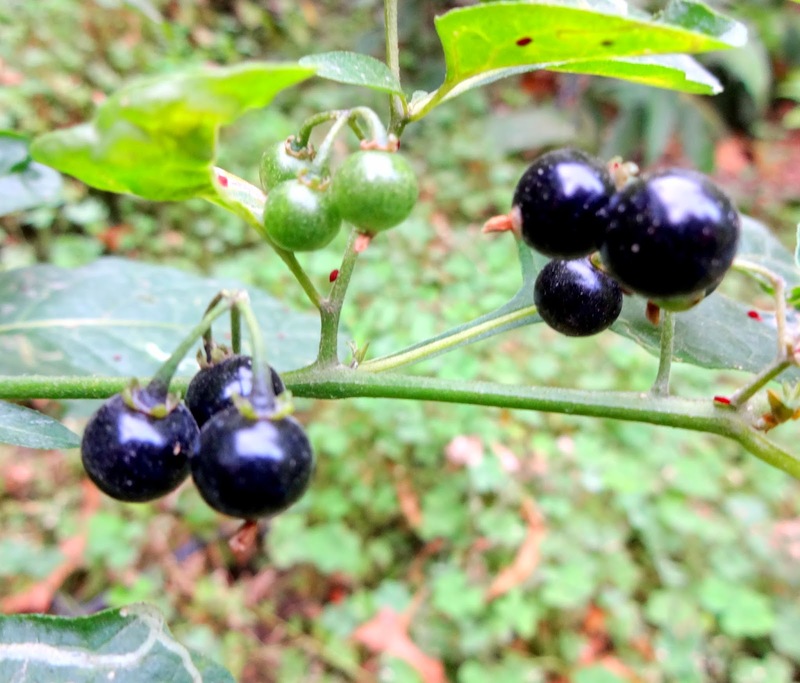 I wonder what those berries are? 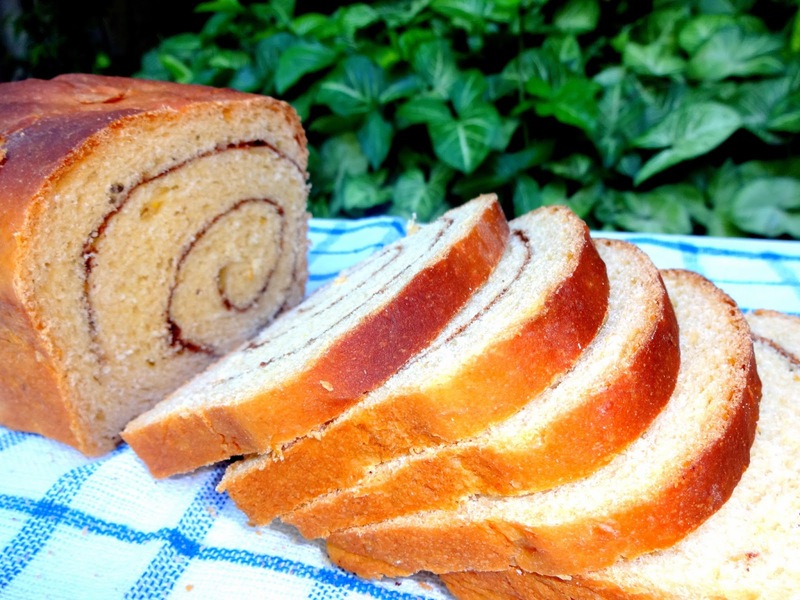 Your breads always look both wholesome and gorgeous and this one is no exception. I wonder...does it toast well? Hello Nandita, Oh! I am puffed up on being called "bread queen". Nandita, I have an OTG. Earlier I had Sunflame which was small, now i have Bajaj. I am able to bake two loaves at a time. I suggest that you should visit the showroom, look for the latest models and buy one keeping in mind your requirements. This is a recipe I want to try. Did you mean that one of the flours should be whole wheat? or something else? I really enjoy your blog posts! Hello Dhonna, this bread has 1 1/2 cups whole wheat flour and 1 1/2 cup all purpose flour. I have mentioned in the recipe now. Thanks for bringing to my notice. Love and regards! 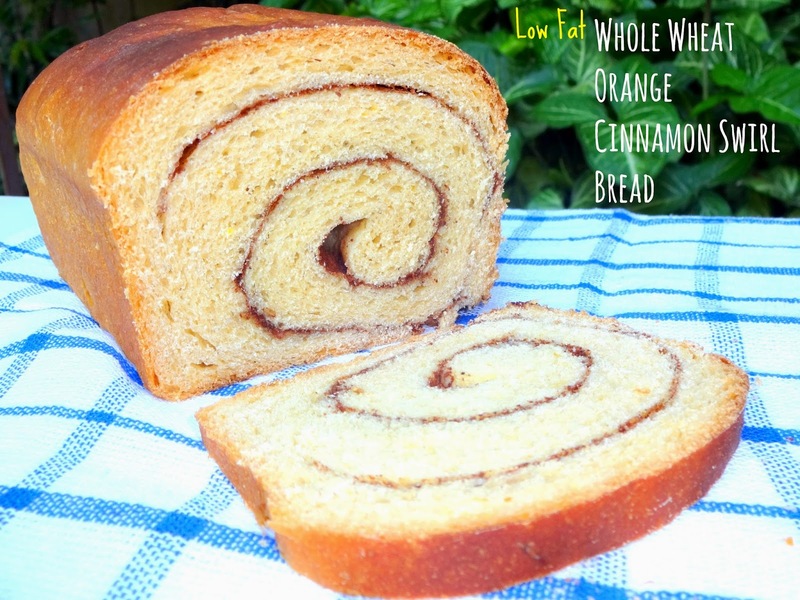 What a good idea to add orange to a cinnamon swirl loaf. I can't wait to try this. Thanks! Hello Jyoti, Thus bread has 1 1/2 cup whole wheat flour and 1 1/2 cup all purpose flour. Thank you for bringing to my notice. It is a very flavourful sweet bread. You will love it. Happy baking Jyoti!